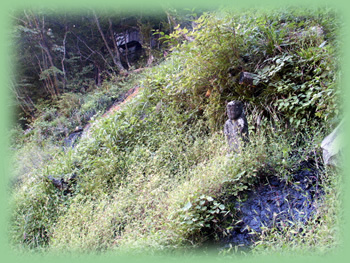 A close up of the source showing Ofudosamma. 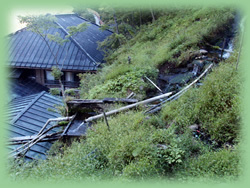 The waterfall at the source of Tengunoyu. 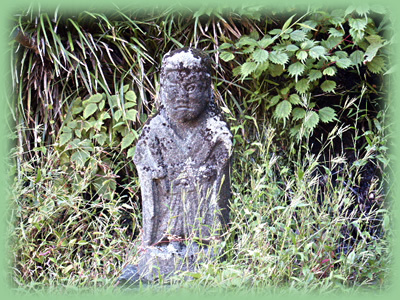 This statue was put up when the area was a center for mountain worship. and mountain worship the statue wasn't touched. but this statue, possibly because it's small, was overlooked and so survived. building his first bath-house at the Fudonoyu pool.